Osteoarthritis, often referred to as degenerative joint disease (DJD), is the most common disease affecting weight-bearing joints like knee joints. Osteoarthritis causes pain, muscle weakness, and limits the joints range of motion which can lead to disability. Factors such as excess weight, joint trauma, misalignment (pinch knee, bow knee), weakness of quadriceps muscle and abnormal tibial rotation are identified as risk factors for developing OA. Post traumatic arthritis in the knee occurs in response to ANY injury that affects the joint structures, but particularly following acute ligament and meniscal tears. Trauma, also including repetitive microtrauma, is a common cause of degenerative changes in the knee joint. The symptoms of OA include pain, limited motion, and muscle guarding. Joint pain and stiffness also inhibit quadriceps muscle function which leads to a lack of joint control as well as problems with gait and balance. The limitation of a knee joint’s range of motion is also typical and usually occurs more often during knee flexion than extension. Muscle weakness is an important additional risk factor for knee OA development and progression. Muscular weakness and imbalance can have a significant impact on the ability to develop and withstand forces with compensatory movement patterns that increase force applied to the static joint structures. The loss of quadriceps (knee extensors) strength and a loss of muscle mass (atrophy) have commonly shown impairments associated with knee OA. 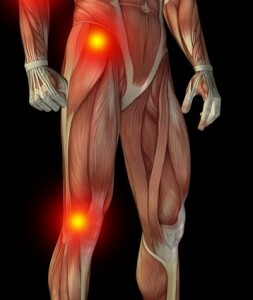 Much emphasis has been placed on the quadriceps; however, impairment of other muscles have also been documented. For example: hip rotators, hip abductors & adductors, hip extensors and knee flexors. The main muscular contributors to knee joint anteroposterior stabilization are quadriceps, hamstrings, gastrocnemius, and popliteus muscles. New studies have also shown that glutealis muscles, especially, gluteus medius have an important role in stabilizing knee joint. Joint stabilizing muscles and muscle strength around the osteoarthritic knee joint offer the support and shock absorption that takes away excess pressure from the painful joint. Also, all the joints in our body require synovial fluid and lubrication to stay mobile. So, muscle condition and exercise are essential treatment for knee OA. Exercise is a well documented management for those suffering from knee OA. It is common sense that you want to do something low-impact instead of overload your joint (i.e. running or playing tennis). Too much of a wrong kind of exercise can load up the affected joints by causing more pain and stiffness. However, too much rest is not good either because it makes joints stiffen up and weakens the muscles around the joints. The suitable low-impact exercises for OA are swimming, water-aerobic, biking (flat surface), pilates and yoga. Physical therapy may help those with Osteoarthritis because physical therapists usually give you home exercises which emphasis the strengthening of your weak muscles (quadriceps, gluteus muscles) and the stretching of any tight ones (hamstrings, hip rotators, it-band and calves muscles). Kinesiophobia is a disorder where a person believes that movement can cause more injury and pain. A constant cycle of pain, fear, disuse and depression can be a result of kinesiophobia and it definitely slows down a normal recovering process from injury. This can also lead to a long-term problems and chronic pain. Persons with kinesiophobia tend to believe that the pain what they are experiencing may worsen if they do exercises and certain movements. They start to decrease their physical activity which unfortunately causes even more problems like joint stiffness, unnecessary muscle tension, supporting muscles weakness, etc. People with kinesiophobia are in a pain cycle (picture below), and getting out of this circle is very hard to do on their own. As a Physiotherapist and Pilates Instructor I have treated many chronic back pain clients who are terrified exercising but want to get better. Some of them have already had bad experiences on Physical Therapy and doctors care. Painkillers do definitely not help if the source of pain mostly comes from patient’s fear, compensations and guarding. In Physical Therapy the trend is to work on many clients at same time, so they probably don’t have any extra time to concentrate or realize your fear and compensations. It is not either a good idea to give home exercises to people who has a kinesiophopia because they find it hard to do them correctly. Fear of pain also effects negatively to neuro-muscle connection and muscle recruitment, so exercises may do more harm than good. However, the truth is that movement heals and it has a crucial role of chronic back pain treatment, but it really does matter what kind of exercises and instruction you get to actually help you. One-on-one Pilates with skilled Physical Therapist or very experienced Pilates instructor can help those who have kinesiophobia and chronic back pain. Well designed, slow, graded and progressive Pilates program which aims on practicing control of movement, breathing and proper muscle work will definitely help reduce fear of movement and also gradually overcome kinesiophobia. In Pilates every movement has to be PAIN FREE! Pilates with a good teacher helps you get your confidence in your ability to move. Returning to normal movement is an important step in breaking the kinesiophobia pain cycle. Pilates exercises help you rebuild normal movement and function which in turn relieve pain and improve your overall quality of life. Staying active is a critical component of chronic pain and back pain treatment. Don’t let your fear ruin your full potential recovery and stop you to do the activities that you love. Knee and hip joints replacements are becoming more and more common. These procedures improve the quality of life for those people who suffered from constant joint pain and loss of function. Pilates is a great training method before and after knee and hip replacement surgery. By getting into better shape before surgery with Pilates, it also helps you to recover faster. By adding Pilates to your post rehabilitation stages, it helps correct your faulty movement patterns and muscles imbalances. One of the best part of Pilates in one-on-one training is that it addresses the body as a whole. It doesn’t only strengthen the particular muscles or muscle groups or increase range of motion just in the one joint, it also trains the whole body as it was designed. Due to the low impact form of Pilates and assistance of Pilates equipment, joint can exercise very gently and pain free while strengthening surrounding muscles. Pilates before surgery is a safe and effective way to prepare your body for operation. Pilates exercises maintain the joint range of motion and strengthen the surrounding muscles of affected joints, even when range of motion is limited and lack of cartilage of the knee or hip makes your movement more difficult. Pilates exercises address your deep spinal stabilizer muscles – your core – which is very helpful for your overall balance and body control. Better balance makes you more confident on moving and less afraid of falling. Strong core muscles as well as shoulder girdle strength and stability are also a big help after surgery to get around and being independent while you are using walker, crutches or a cane. The stronger and more well-balanced the muscles before surgery, the faster the recovery period. In some cases the Pilates training can even postpone your need for joint replacement surgery. There is more rehabilitation after joint replacement than a short initial physical therapy which concentrates to regain the function of your brand new hip or knee joint. The previous years of pain have created faulty compensation patterns in your body, and unfortunately, that won’t get fixed only by replacing your joint. Even when your pain is gone or mostly gone, the body is still used to moving as if you are protecting your painful joint. This moving pattern puts a lot of pressure on other joints and tissues by creating muscle imbalances and poor habits to walk and move. With Pilates, and with a skilled Pilates Instructor or Pilates trained Physical Therapist, you can identify and properly treat your faulty movement patterns and muscle imbalances. Pilates program also focuses on lumbar-pelvic stability and strengthening of hip abductors to improve the symmetrical gait and standing balance. In Pilates, the quality of movement is more important than quantity as well as integrating the whole body to working and functioning symmetrically as it is designed. This is the best and most effective way to rehabilitate your body. Pilates is a viable alternative method of rehabilitation and very good continuation after physical therapy when your goal is achieving optimal recovery and overall well-being. As a Physical Therapist I warmly recommend to start Pilates if you have hip or knee osteoarthritis or you are heading to knee or hip replacement. Before you begin Pilates you will want to make sure that the Pilates instructor has proper experience and knows your limitation and can modify the movements for you. After knee or hip replacement surgery, Pilates can be extremely beneficial but only if taught by a Physical Therapist or truly experienced Pilates instructor. If you are injured and have pain, did you know that there is more to recovery than just getting rid of pain? If your rehab only focuses on pain it will always miss the root cause of the real problem. The fact is that pain and injury oftentimes change the way how you use and move your body. 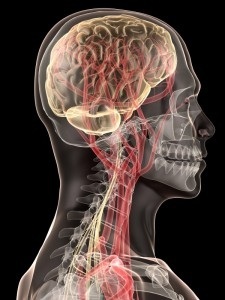 The neurological connection between brain and muscles is not working properly and body starts to compensate. The compensation patterns create altered alignment in the joint, leading instability (too much uncontrolled motion) and abnormal wear on the joint surfaces. It also puts excess stress and tension on ligaments, tendons and muscles. When the muscle imbalances and faulty compensatory movement patterns are left untreated, there is a chance that you will suffer from that same injury again or additional injuries somewhere else. The key to orthopedic rehabilitation is not only to get rid of pain and injury, but also identify and treat muscle imbalances and faulty movement patterns. Unfortunately, that is not often the case in a regular Physical Therapy. Therapists are often too busy and do not have time to look at the whole picture of how you are compensating or how to treat your muscle imbalances. If you really want to get rid of your injury and complete your rehabilitation after Physical Therapy, take private Pilates classes with an experienced hands-on-skilled Pilates instructor, or even better, with Physical Therapist who is trained in Pilates. Pilates rehabilitation also works as an alternative for Physical Therapy, or together with Physical Therapy. I strongly feel that Pilates really is a missing part these days in orthopedic (musculoskeletal) rehabilitation. In Pilates, clients become more responsible for their own rehabilitation process. It is not just going to a therapist, lying down and receiving passive treatment by a Physical Therapist. Pilates is an active form of rehabilitation which can addresses a specific injury site while rehabilitating entire body. It can vary from specific isolated movements to more dynamic ones as necessary for that stage of rehab. A successful recovery includes regaining deep stabilizer muscles strength, joints’ controlled mobility and achieving muscles flexibility back to the normal level – that’s what Pilates exercises are all about. Pilates focuses also on the total body integration, working the whole body on proper alignments and posture, improving your joint stability and mobility – all those aspects that you need to recover safely and effectively. However, it’s important to notice that there is big difference between teaching Pilates as a form of fitness and using it as a form of rehabilitation. If you are injured and consider Pilates, it’s important to make sure that your instructor has experience to work with injuries. An experienced Pilates Instructor or Physical Therapist trained in Pilates can provide an individualized rehabilitation program based on your special needs and conditions by identifying and correcting your muscle imbalances and faulty movement patterns. By investing in your sessions, you will get an injury-fee, well-balanced and well-functioning body. Not that bad investment at all, or what do you think?